I love to tweak recipes. Sometimes they are big tweaks, other times it is a small change with a HUGE impact. This is one of those recipes. 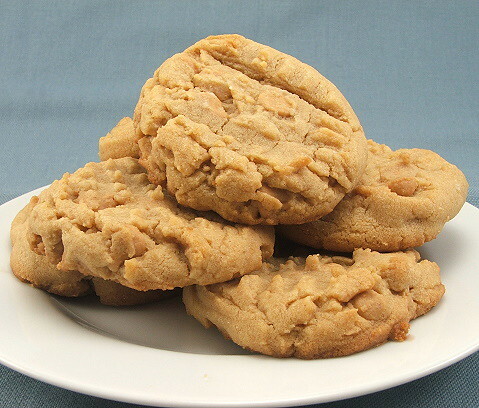 In The Joy of Cooking there is a recipe for perfectly lovely Peanut Butter Cookies. They are traditional, with the crosshatch design on the top, in a way that screams, ‘homemade’. 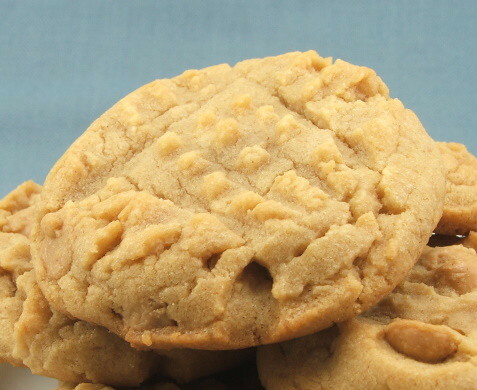 They are soft, peanut buttery, and really very good. 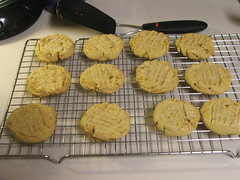 In our house Christmas is not Christmas without a plate of peanut butter cookies. My family and I love them. Funny story, my beagle, who loves peanut butter, one Christmas morning pulled a whole plate of them off my buffet table and onto the floor where snuffled them up before I could so much as say, ‘No!’ Knowing all this you may wonder, why tweak them? 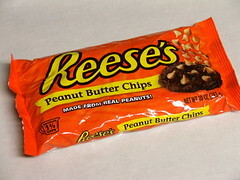 Reese’s makes peanut butter chips. 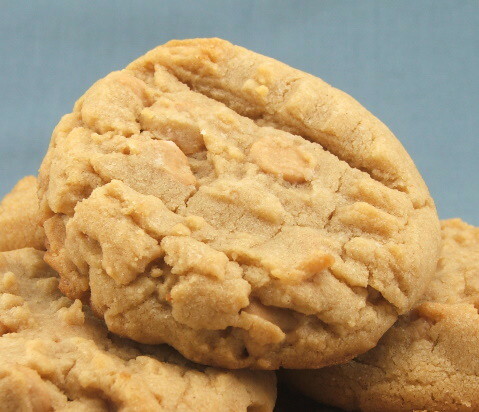 They are little nuggets of Reese’s peanut butter goodness that are perfect for adding to all sorts of baked goods. 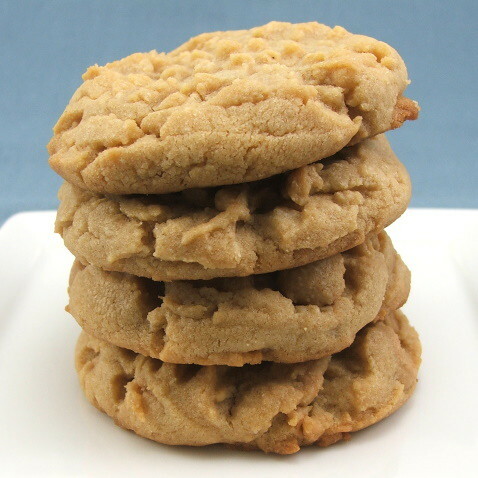 One day, while shopping, I grabbed a bag intending to put them in some brownies when the thought struck me, “I could add this to peanut butter cookies!” It is a simple addition that makes a big difference. 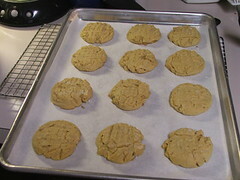 Now the cookies have not only the robust peanut butter flavor, they have nuggets of slightly melting peanut butter chips! 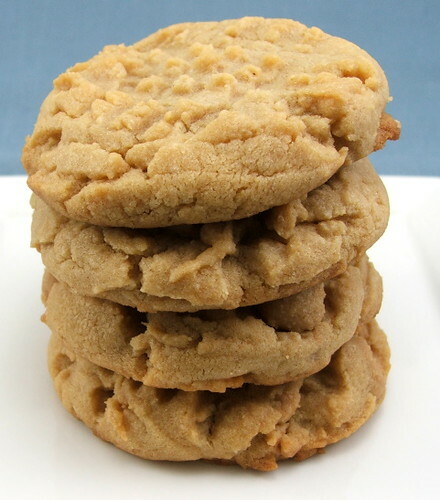 Really, if you like peanut butter cookies you need to try this! 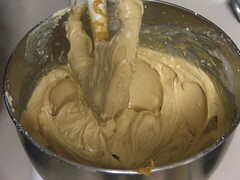 In a mixer with the paddle attachment cream the oil, butter, peanut butter, powdered sugar, and brown sugar until light and fluffy. 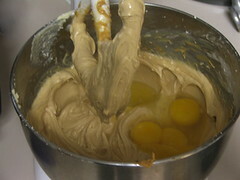 Add the egg, egg yolk, and vanilla and mix until well incorporated. 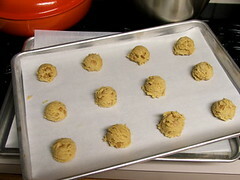 Scoop onto the prepared baking sheet by the rounded tablespoon about two inches apart. 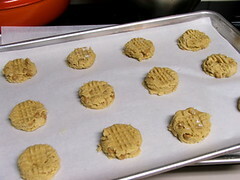 Use a fork to flatten the cookie by pressing a criss-cross pattern on the top of the cookie. 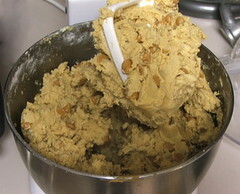 Bake for 10 to 12 minutes, or until the cookies are golden brown. Cool on the pan for three minutes before transferring to a wire rack to cool completely.